This mango smoothie is super easy to make in a blender. Just peel and dice the mango and add it to the blender with yogurt and crushed ice. You can add some milk for a richer smoothie or use a low fat or full fat yogurt instead of nonfat. 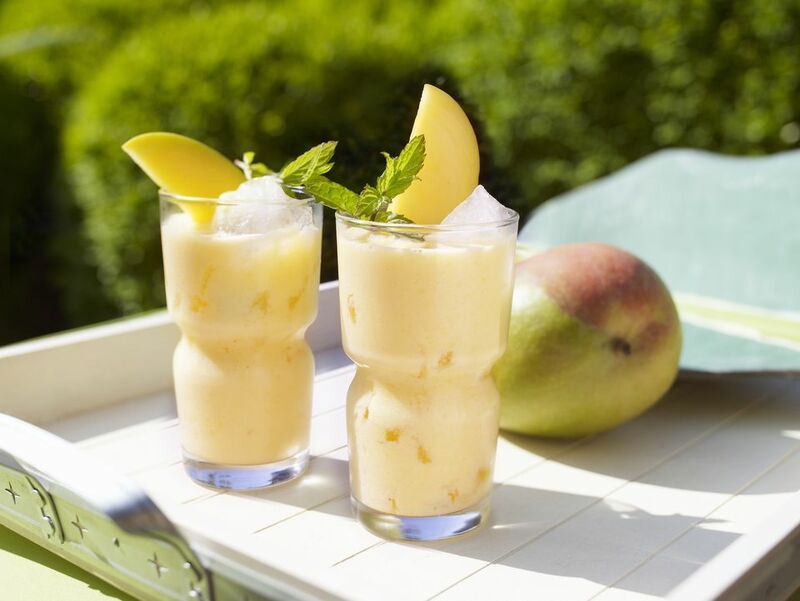 Place the diced mango, yogurt, and ice in a blender or food processor. If the smoothie is too thick, add a little milk or water.